Your garden is an extension of your home – a place where you can relax and unwind with friends and family. 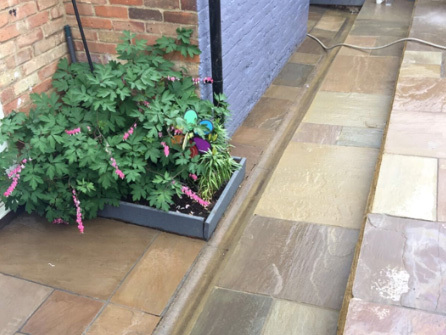 A professionally designed and installed patios will provide a welcoming area in your garden to spend time in, helping to landscape the outdoor space. 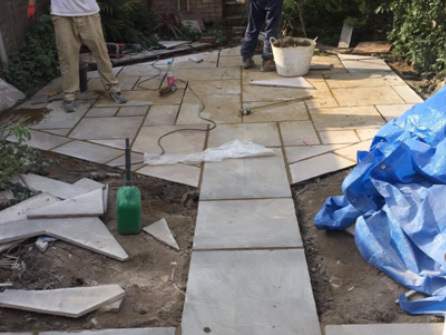 Our Essex based expert team of patio installers here at Forest Drives & Resin Ltd have been installing patios in Chelmsford & Essex for over 30 years. 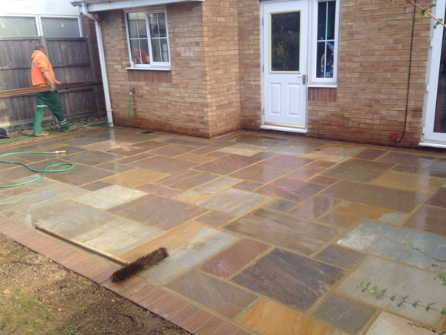 We can install many different types of garden and patio paving to completely transform the look of your home. Each patio installation is uniquely designed to match your requirements and garden surroundings. 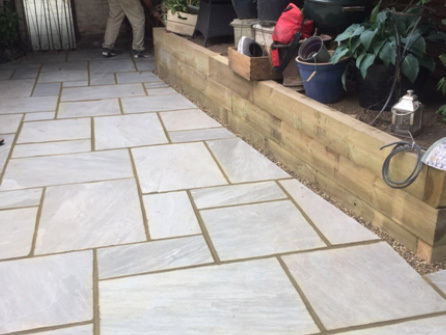 Choose from a wide range of patio materials, including Indian sandstone, natural stone and slabbing, all of which are very durable and cost effective. Installing a garden patio in your Chelmsford & Essex homes can vastly improve your outdoor space and provide you with a space to relax with friends and family. 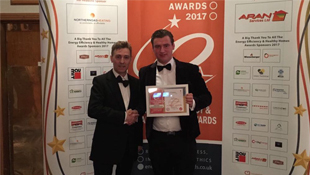 We pride ourselves on our expert customer service skills by handling all customer requirements from the initial phone or online enquiry, right through to the installation and completion of the job. As an Essex based team we deal with all work in house and never rely on outside contractors. What are the benefits of having a patio installed? A beautiful and well-built patio installation can dramatically transform the appearance and value of any home and add character and charm to the garden. Patios provide a unique outdoor living area for entertaining friends and family. Whichever material you choose, and whichever laying pattern you decide on, we put the same effort and care into achieving stunning results for you and your family to enjoy for many years to come. 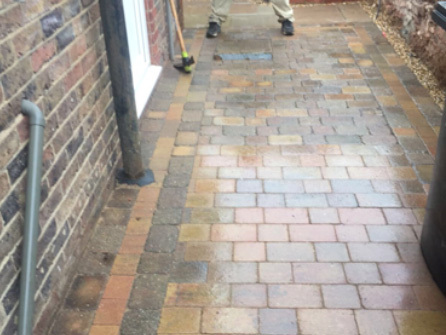 Our highly skilled paving team also specialise in patio repair and maintenance. 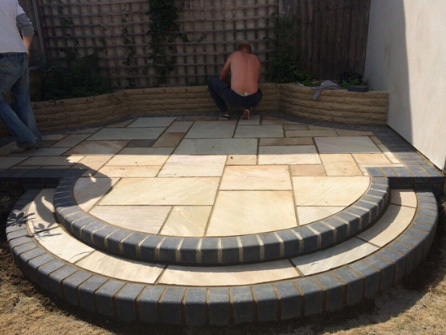 Our efficient and professional team take care in helping you to choose the final design features too, such as decorative edging, walls and steps to compliment your garden. We’re here to make your patio as easy and simple to use as possible. 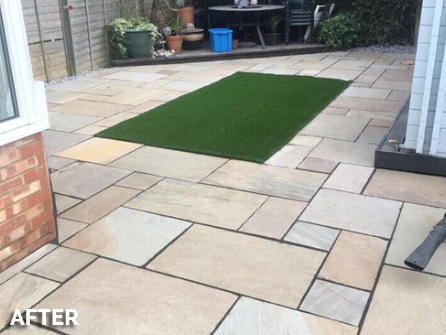 Our aim is to build you a patio that will last for many years to come whilst giving you no problems other than general wear and tear. All of our work is guaranteed, and we are a fully insured driveway and patio installation company. 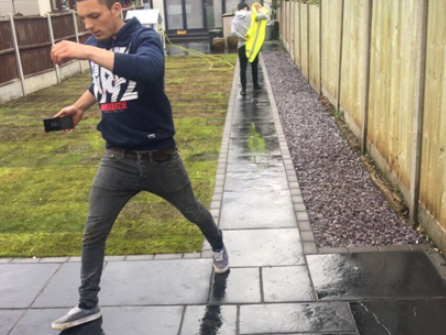 We do not always require a deposit, payment is normally on completion once the customer is 100% happy with the patio or driveway installation. We are proud to create perfect patios installations Essex, providing homes with new-found character and charm. 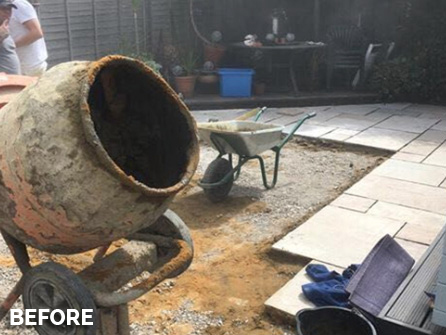 Whether you’re looking for the installation of a new patio or would like an existing patio repaired in Essex, contact us today on Freephone 0800 170 0215. We look forward to hearing from you!